Tired of new hire forms? Tired of lost billable hours due to long training days? Tired of inconsistent learning experiences? By consolidating your training into one, customized learning management system (LMS), you can provide consistent employee training time after time, at a fraction of the cost of traditional staff in-services. Discover the advantages employee training software can have on your bottom line. Providing mandatory compliance training can be time-consuming to develop and expensive to deliver. Simplify the development and execution of your regulatory compliance training with CEU360.com’s rapid content development processes and consistent, streaming, rich-media delivery. Utilization enforcement is provided through post-course exams complete with utilization reports. With over 650+ hours of elite continuing education content covering the professions of Physical Therapy, Occupational Therapy, Athletic Training, Massage Therapy, Speech-Language Pathology, Nursing, and more, and with 300+ new hours of content developed annually, CEU360.com provides a variety of options to meet your facility’s educational needs. Get full access to our online video library of accredited courses. Do you want to engage your team? Do you want to communicate a culture of compliance? 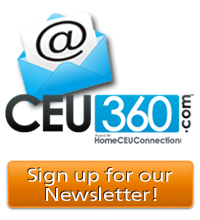 CEU360.com is your new solution for creating and delivering customized company messaging, continuing education, and employee training materials through our robust learning management system. To me this has always been the problem in the past… the employees are so far removed from corporate that it’s hard to get the company message down and get it consistent to those individuals that are out there on the front lines treating the patients. 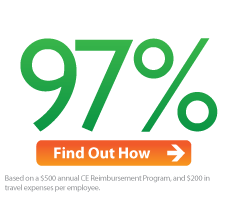 With CEU360, we can actually have white labels… it’s going to bring [employees] much closer to the company.